Toss-up: What is Academic League? The team poses after winning their play-in match to participate in the championship tournament. The 137 score on the whiteboard not only marks the win of the match, but the highest score in the teams history. Ten seconds left on the clock. It’s anyone’s game as Sage Creek goes against Carlsbad. Sage acts fast to seal the win. Three seconds left and the crowd erupts as Sage beats Carlsbad 84 to 71. It isn’t a basketball game, far from it actually. It’s Academic League, the academic team question-and-answer knowledge bowl where matches are dedicated to the demonstration of educational achievement, scholastic excellence and academic competition. 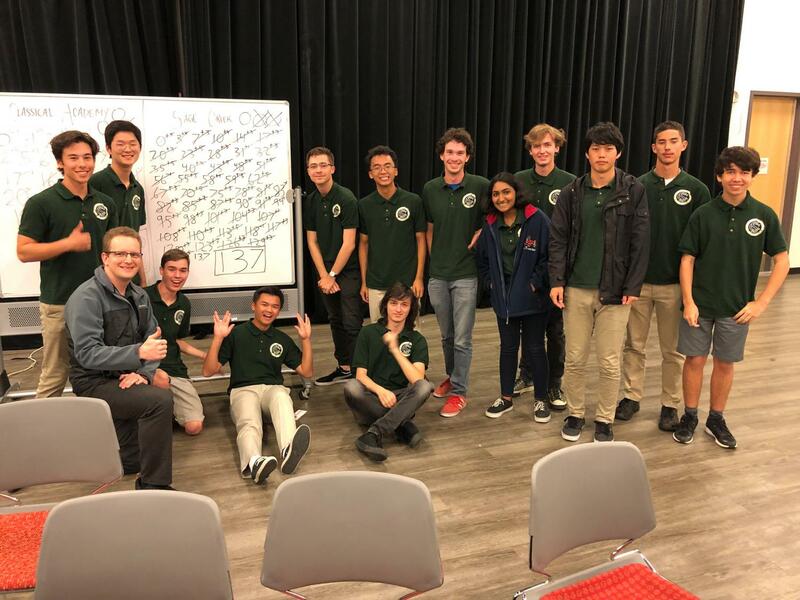 North County Academic League started in 1983 with 12 teams and two different leagues but has grown quite a bit since then with 28 schools and four leagues participating in the 2018-19 season. Each school puts forth a varsity, JV and freshman team to compete head to head. The game is basically team Jeopardy against other schools with toss-up, anyone’s guess and bonus team specific questions. 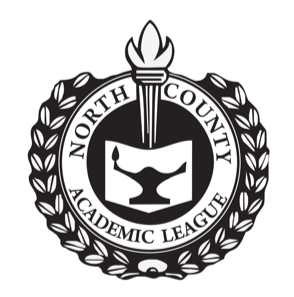 This is the official North County Academic League insignia. It’s used in the official rules and guidelines of the league. This year marks the best yet in the club’s five-year history, with a number of firsts. The JV team ended the season in first, winning all of their matches, and will be participating in championship matches. The varsity team also did very well, ending with a 5-1-0 record, the highest yet; tieing with Carlsbad High School and La Costa Canyon High School for first place in the overall league, a first for the team; beating Carlsbad 84-71 in the match against them this season, another first for the team; qualifying for playoffs, yet another first for the team; and will be competing in the championship against the best teams from all over North County, the final first for the varsity team. With the championship day set for May 6, the team has upped its game in order to do their best. Before March 21, the team had informal lunchtime meetings in coach Sr. Karmar’s room using old questions from similar competitions (such as “One character compares the protagonist to Icarus after discovering contraband materials in his house. Bombers are a constant presence during this novel, which culminates in a massive nuclear strike on the protagonist’s unnamed city” with the answer of Fahrenheit 451), but now the team has a different approach according to club president, Kenneth Nguyen. “So now we do practices every day with each day having a different focus like math or capital cities or famous authors. In addition to this, we have also been discussing different strategies like what lineups to use, how to buzz in halfway to get a jump on the opponent, and when to stall time. We also assigned Quizlets to each member for them to become more familiar with a specific area of study,” Nguyen said. Team practices aren’t the only thing evolving. Members Ben Hartley and Joseph Fox talk about how the team spirit, although more competitive, remains as light-hearted and friendly as ever. With team morale as high as the hopes are for championships, the team continues to practice their hardest and work to earn Sage a seat in the semifinals and possibly even finals of the competition. Disclamier: Reporter Riley Hull is a long-time member of Academic League.